We will configure your chosen logos to be used on your documents. This must incorporate all the company details i.e. logo, address, telephone, fax, web site, email etc. This logo is printed in the bottom left corner of forms i.e. 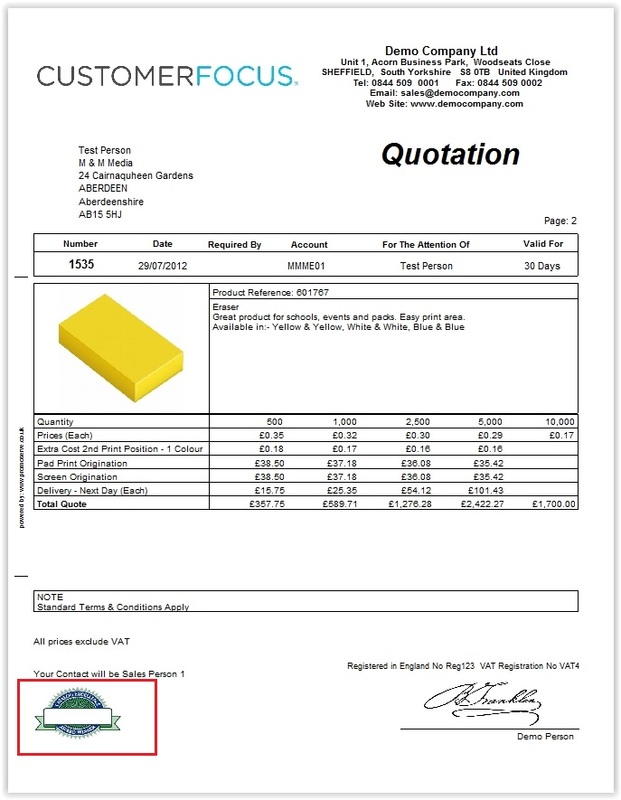 quotations or order acknowledgements, and can be used for any Association, QMS or ISO logos required.